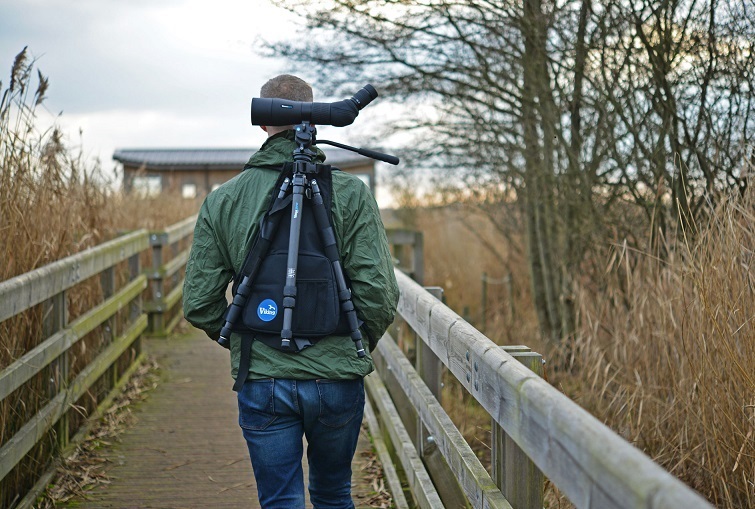 The new generation of Viking Tripod S’port has been designed to enable the effortless carrying of a spotting scope and tripod whilst you are out bird watching. 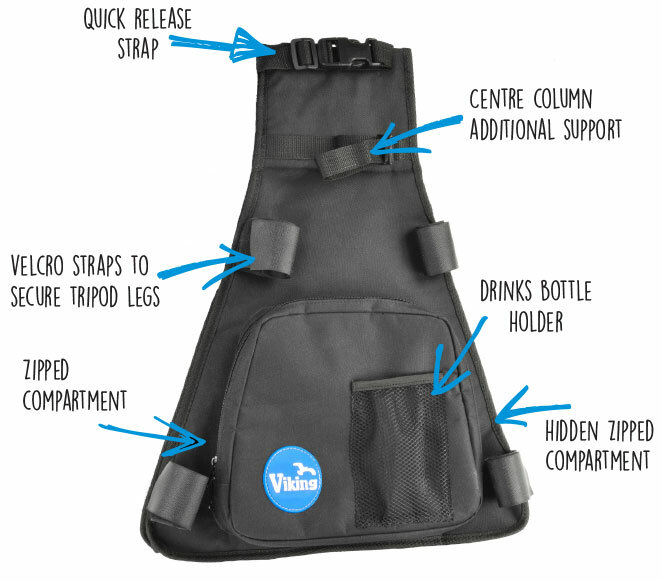 The wide padded shoulder strap evenly distributes the weight across your shoulders reducing fatigue even on longer walks and leaves your hands free to use your binoculars. The inclusion of a chest strap increases stability if required. A large internal compartment can be accessed via a strong side zip and is perfect for larger items such as a flask or lunch box. An additional zipped outer compartment is ideal for carrying a field guide, note book or map, whilst the external water bottle carrier enables quick access with the mesh design letting condensation run off on warmer days. Velcro straps allow the Tripod S’port to be quickly and securely attached to your tripod.